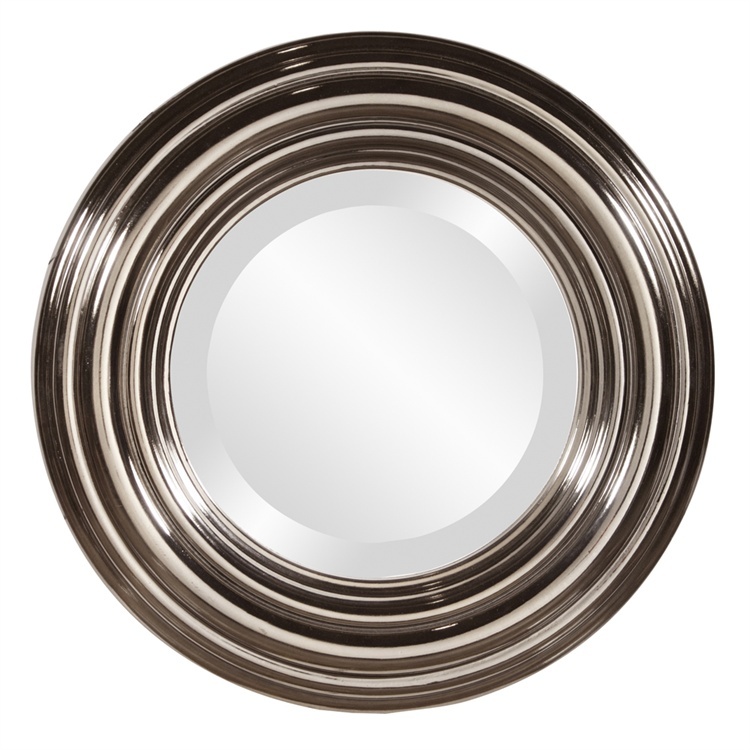 This mirror features a simple round frame that is ribbed and finished in an electrostatic bright nickel plating. The Vail Mirror looks great alone or in multiples hung together in a gallery style. The glass mirror is beveled for added style. Customizable for larger orders.